ASUS MicroFilm – Soft for Android 2018 – Free download. 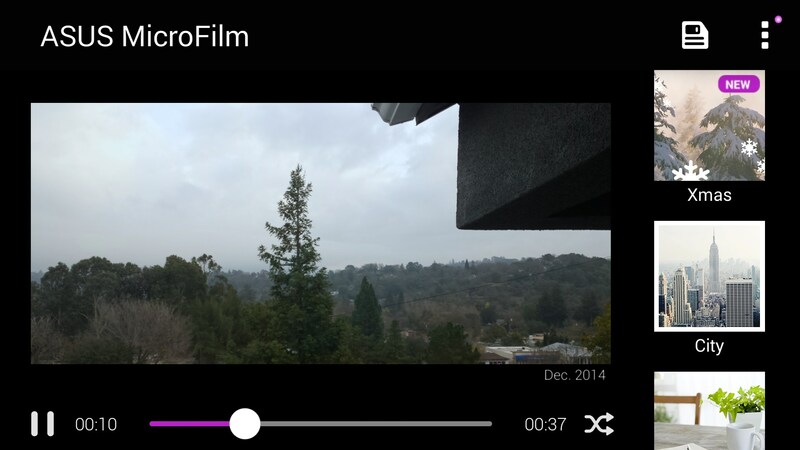 ASUS MicroFilm – Easily make slideshows with this Asus app. 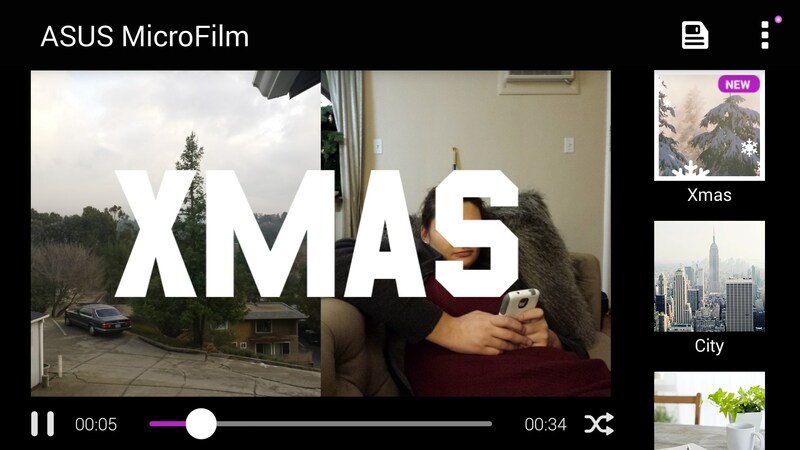 ASUS Microfilm for Android is another slideshow maker that takes a catalog of your pictures, pastes filters and transitions on them, and then produces them into a slideshow that you can share with your friends on various social media outlets. It's quite simple to begin making your slideshow in this app. Like other apps of the same genre, you simply view your gallery and then pick pictures. 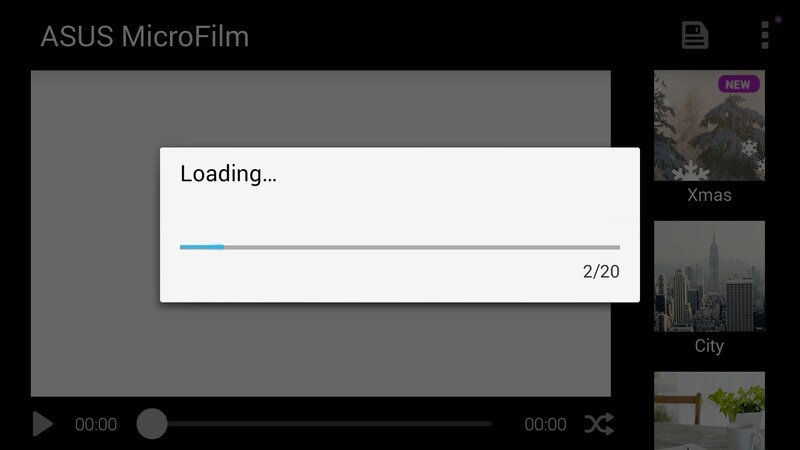 However, Asus makes it very clear how many pictures you need; it's 20 pictures to make a slideshow with this app. After you make your slideshow from the pictures selected, you are shown various theme options that your slideshow may end up looking like. Perhaps my favorite thing about this application is that switching and previewing the themes before you make your slide is very easy and intuitive. In other apps of the same kind, you might have to reload the whole slide show, or start from the beginning to see a different theme. Or you might have to pick a theme before you can preview the it, essentially locking you into something you might not know you like. However, there are apps that are similar in that they give you previews, but this one is quick and easy. It feels efficient that you can quickly browse the different themes simply by going down or up on the right side of the application, to look at the different themes available. Now, as far as the themes go, they aren't really that amazing. You have to keep in mind that this app is essentially only a slideshow app. So, like all slideshows, your slide shows are going to look pretty cheesy and corny; and the music that goes with my slideshows doesn't really help. They are full of transitions that sweep across sometimes that look a little decent with different combinations of pictures being shown at once. Sometimes your pictures get shown weirdly, in that some parts of them might be cut off. This Asus slideshow maker excels in that it's easy to use and the design feels very simple. I like that there isn't a lot of clutter in the app, and it's easy to switch things around and customize the slides with various music tracks. However I'm not a big fan of how the slides turned out, as most look cheap and a little silly. For those that don't mind their pictures being included in a corny slideshow this might be perfect for them. not sure if you can do that..